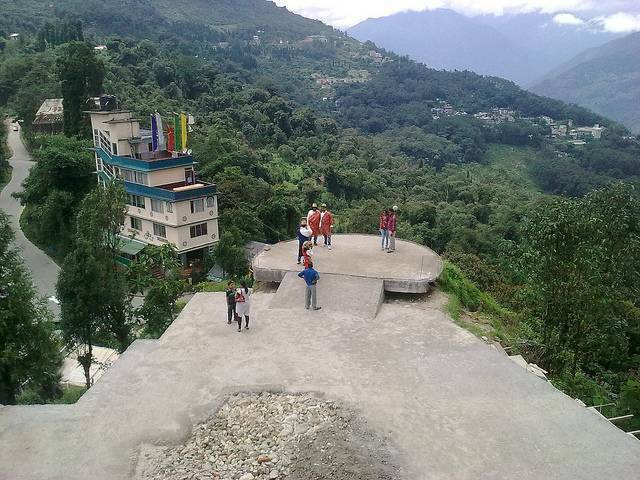 Tashi View Point is located at a distance of 8 kms from the state capital by the North Sikkim highway. The view from here simply makes the heart stop. Other than Mt Kanchenjunga, Mt Sinilochu can be seen really well from here. There are ample eateries where one can grab a modest but scrumptious meal of momos and thukpa. The ascend up the stairs is bound to be of sheer pleasure to any passionate traveller.